Late last year, AKG released a number of new headphone models. Among those was the K845BT, a closed-back, over the ear, Bluetooth headset. We have seen a number of new Bluetooth headsets over the past year or so, mostly for mobile connectivity, but also for use around the home. Read on to see why this model stands out. The first thing to notice about the headphones is the design. The headphones look absolutely beautiful, with a modern yet classy design. The black model, which is the model I received from AKG looks sleek and high quality. As far as looks go, these headphones are 5 star. There are a number of design features that are not there for looks, but rather for functionality. On the left side, there is a mini-USB port for charging, with a red light next to it which switches on while charging, and then off when it’s fully charged. On the right side there is a 8th-inch jack to connect your headphone via a wire when they aren’t charged. This is a great addition, and means you will always be able to use your headphones one way or another. Next to that there is a little Bluetooth button, which helps you connect and disconnect Bluetooth. Then, next to that, there are volume controls for the headphones. It would have been nice to see track controls, but I also like a more minimal design and more buttons may have made it a little more cluttered. While the design certainly looks good, after long hours wearing the headphones it can get a little uncomfortable at the top of the head. A little more cushioning at the top would have been welcome. Despite this, it really only gets like this after wearing the headphones for a good chunk of the day, so for the most part it should be fine. Put simply, these headphones sound great. The low-end response really shines through, and it would take a lot to distort. Even at high volumes there was no distortion to be found. While they bass response is really good, it’s also very natural, so those who like natural sounding headphones will enjoy these. If you’re more into a boomier sound, then you might not like them as much. The trend of good quality continues in the high end. The high end on the K845BT’s is crisp and full of presence, yet not shrill or piercing. This makes listening for long times much easier. While the headphones are easy to listen to, this does not make them boring, and they are still entertaining. The volume on the headphones doesn’t go as loud as some others do, but if you’re listening to music through your headphones at full volume then there may be another problem that you should address. The Bluetooth capabilities on the headphones are also top-notch. You should have absolutely no issues with audio dropping out if your listening from a device in your pocket. If you have an NFC compatible device, you can even pair them by enabling NFC and putting the device on the right earcup. Once you get a few meters away from your device you might some crackling, but nothing unexpected from Bluetooth connected devices. 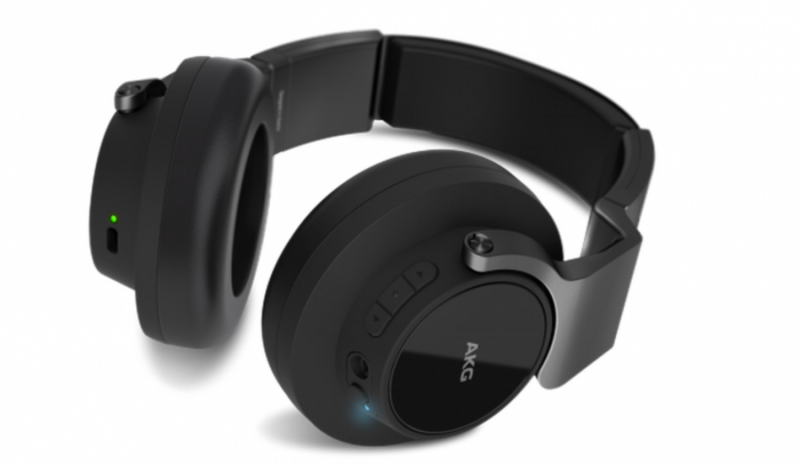 The design of the AKG K845BT headphones is awesome, and the sound is equally as awesome. If you like natural sounding headphones and like the idea of a wireless pair, then these will be perfect for you. The only possible negative’s you could find with them is the lack of dedicated charger, and the lack of track controls on the headphones, but if you can stand these then the K845BT’s might just be perfect for your next pair of headphones.